The entire range of SCHAKO developments and products aims to produce healthy, clean air for all the different worlds of work. Our HVAC components and system solutions help people who work indoors to remain relaxed, alert and capable of doing good work. Our knowledge and expertise from 90 years of work into good air have made SCHAKO a specialist in customised solutions for ventilation, air conditioning, soundproofing, control, fire safety and smoke extraction challenges in industrial or public buildings. If you have specific room situations and particular HVAC needs, SCHAKO is exactly the right place for you to come. We are one of Europe’s leading manufacturers of HVAC components and systems. Whether for fire protection & smoke extraction, air/water systems, feedback-control devices, acoustic insulation systems, open-loop control systems or air outlets – our products create healthy, clean and safe air in working premises. Also, in challenging environments such as large catering kitchens, laboratories, the process industry, underground garages or tunnels, the vast array of our standard and specialist HVAC components really comes into its own. You see, our strength lies in finding customised, smart solutions for all our customers’ situations and challenges. Drawing on the in-depth knowledge available across the SCHAKO Group of companies of the behaviour and distribution, closed-loop control and cleaning of air, SCHAKO produces efficient products, systems and solutions that help to sustainably improve the room climate, and to enhance safety with its smoke extraction systems. 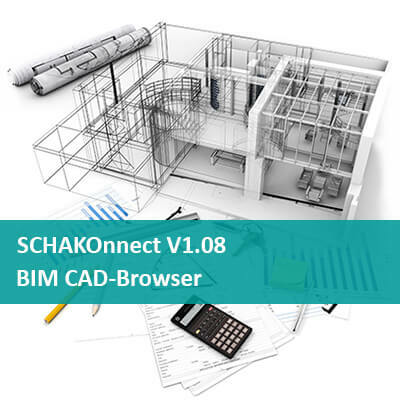 SCHAKO introduces a new BIM CAD-Browser V1.08. The SCHAKOnnect CAD browser V 1.08 also offers the following advantages and completes the SCHAKO design program in many respects. Its products and service are first-class. SCHAKO has received an important industry award twice – once for its powerful fan coil units and once for its particularly reliable filter technology. SCHAKO KG from Kolbingen has received the so-called LüKK trust award for its good fan coil units, good service, conceptual planning support and excellent after-sales service. The variable and energy-saving SCHAKO fan coil units are preferably used in office buildings, hotels or care facilities. The SCHAKO subsidiary REVEN from Sersheim near Ludwigsburg has received the CCI trust award for its patented X-Cyclone® exhaust air filter, which is capable of cleaning oil- or grease-containing exhaust air by up to 99.99 percent without filter mat. Examples of where REVEN X-Cyclone® exhaust air filters are used include large catering kitchens, the turned parts industry and the mechanical engineering industry. Kolbingen, 3 July 2017 – Last week SCHAKO received two important industry awards – one for its powerful fan coil units and one for its remarkably reliable filter technology. During an event of the ventilation, air conditioning and refrigeration industry (LüKK), not only one but two companies from the SCHAKO Group have won a first prize. SCHAKO KG from Kolbingen received the so-called LüKK trust award for its good fan coil units, good service, conceptual planning support and excellent after-sales service. The variable and energy-saving SCHAKO fan coil units are preferably used in office buildings, hotels or care facilities. The SCHAKO subsidiary REVEN from Sersheim near Ludwigsburg received the CCI trust award for its patented X-Cyclone® exhaust air filter, which is capable of removing 99.99 percent of oil or grease from exhaust gases without a filter mat. Examples of where REVEN X-Cyclone® exhaust air filters are used include large catering kitchens, the turned parts industry and the mechanical engineering industry. The LüKK quality seal of the industry magazine CCI dialog has for the first time rated approximately seventy manufacturers from the ventilation, air conditioning and refrigeration industries in 14 product categories in a vote by more than 500 expert planners, plant engineers and system operators. A total of 25,000 individual assessments on the topics of product quality, planning support, after-sales service and overall reliability give a clear quality image of this industry. No wonder that the awards were in high demand.